Over the last 15 years or so, investing in classic cars has been relatively simple: you just followed the money. First, the cash came from the Baby Boomers. They bought the cars they’d lusted after in their youth, the cars that appeared in films and featured on the front pages of magazines driven by pop stars. These cars – models like the Aston Martin DB5, the Ferrari 275 GTB, the Jaguar E-Type, the Lamborghini Miura and the early Porsche 911 – all shot up in value as a result. Then came Generation X. They hit their forties, looked at their empty garage and their thinning hair, and decided to throw money at the problem before it was too late. Their automotive icons were derived from different cultural references: Athena posters, MTV videos, cool TV shows and even Top Trumps cards. The prices of the Lamborghini Countach, Ferrari Testarossa, Ferrari 308 GTB, and hot hatches all soared. These trends were blatant, simple to read and for a long time gave an almost unbeatable return of investment. Take the daddy of all culturally referenced cars, the Aston Martin DB5 of James Bond fame. These retailed new in the UK in 1964 for £4,175. By 1976, Motor Sport magazine had one advertised by a dealer for £1,750. By 1988, they had turned the corner from being a used car into a classic, with Collecting Cars magazine valuing the very best examples at £30,000. By 2005, Practical Classics magazine valued the same car at £80,000. Then came the jump: in 2009, Classic Cars gave the price of the best DB5 coupé at £200,000 and the current Hagerty Price Guide lists an ‘excellent’ example at £616,550. The Gen X cars had a similar trajectory a few years later. Classic Cars 2009 price guide gave the top value for a Ferrari Testarossaas £30,000. By the September 2012 edition of the Hagerty Price Guide, the value of an ‘excellent’ example was listed as being worth £75,000. This grew rapidly, and by May 2015, Hagerty listed the same car as being worth £165,000. The rise in value of these cars also had a knock-on effect to those around them. If you couldn’t afford the most desirable Series 1 Jaguar E-type convertible, you could buy a Series 3 fixed-head for a fraction of the price. Missed the boat on a DB5? Buy a DB4, or a DB 2/4 – the ‘younger brother’ effect. So, all was good in the land of classic car investments for a long time. By buying the right make and model of car, you had an investment that provided a superb return, made you look cool, and (so long as it was your own personal car) didn’t even attract CGT on any equity when sold. But then everything started to get a bit more difficult. There are a few problems with investing in classic cars. Firstly, there are a limited number, so the demand for the most desirable can be extraordinarily high. This can then artificially enhance the values of less-desirable examples. Take the 1963 Mercedes-Benz 300SL roadster that Artcurial sold at auction last year for just over £2.7m, more than double the (then) top Hagerty value of £1.12m. This had pretty much everything going for it: a desirable aluminium block model, it was totally original, in time-warp condition and showed just 1,372km from new. Following this, some owners of other 300 SL roadsters expected their cars to have increased accordingly. Unfortunately for them, they had ignored the crucial rule of classic car valuing: that every vehicle is a different entity and that originality, quality of restoration and history are the key factors. 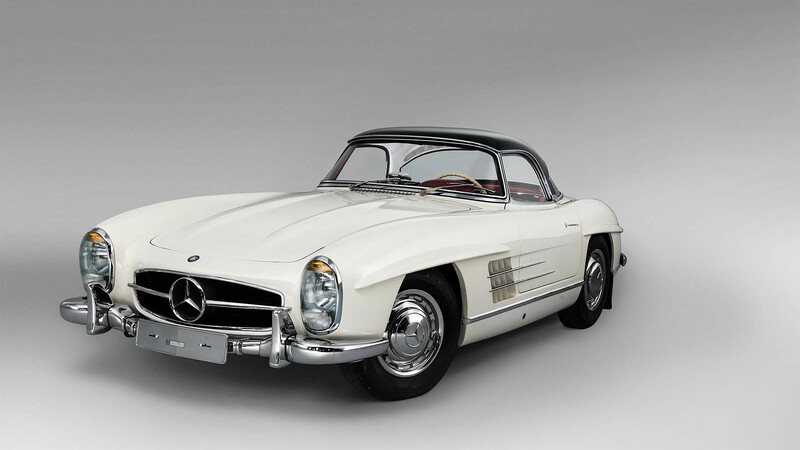 What actually happened was that 300 SL auction results for the six months after the Artcurial sale were roughly the same as those for the preceding six months, and a few people found themselves with cars not worth what they had paid. The second issue specific to classic car investment is that of adding value. 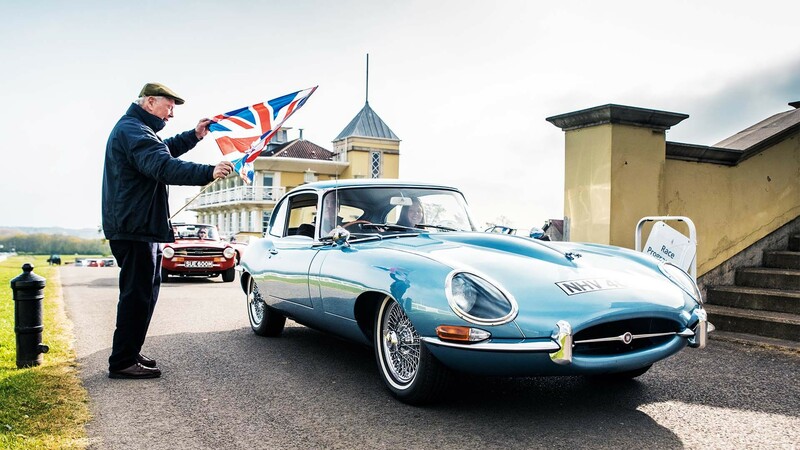 With many other asset classes, you can’t do much to influence its worth, but you can buy a classic car in need of work and have it restored, find out more about its history, or even create a new narrative by entering it in historic race events. In a bull market there are a lot of people doing this, from dealers to private individuals. Sometimes they are tempted to cut costs by cutting corners, creating the bugbear of the classic car world: the ‘shiny but rotten’ car. Thirdly, values of classic cars are driven by a fickle human emotion: that of passion. Buying the automotive hero of your youth is all well and good, but some discovered they lusted after false idols: pretty but uncomfortable, under-powered and demanding, requiring regular maintenance. Over the past 18 months, investors have become cannier. After the first flurry of excitable sales of a particular star model, prices tended to slip back to a more realistic level. Settling values made investors warier of where their money was going, leading to greater scrutiny of prospective purchases, which in turn added to the corrective effect. So, the days of buying a specific make and model, sitting back and watching your investment grow are generally over but there are still ways in which classic cars can add value to a portfolio. The first rule of buying in this volatile market is to know what the cars are worth. As mentioned above, auction values can be a guide but sale prices of the very best cars can skew the averages. The Hagerty Price Guide Tool avoids this problem by including analysis of insured values and adding a human element into the collection of data. The second rule of good buying is to find the right car. Very high-quality examples of low-production run models from prestigious manufacturers will always do well. These tend to have low mileage, be very original, or be restored to a very high level. Utility is also important. With values fluctuating, owners want another type of return for their investment: enjoyment. Therefore, classic vehicles which are suitable for road rallies, racing, or taking day trips with the family tend to be selling well. The problem is that these are the cars everyone is trying to find. To buy well, you must find a car away from the open market. 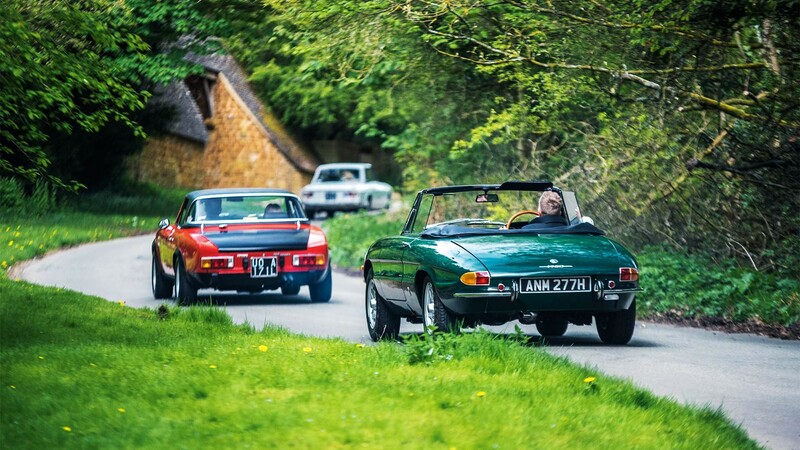 One way is to commission someone who has a network of contacts within the classic car world. Finally, although the general economic outlook is uncertain, values of historic vehicles have tended to rise during recessions, and financial pressures could encourage owners to sell their cars at knock-down prices. With your research done, professional advice at hand and the cash ready, be ready to buy should a good opportunity present itself. Above all though, make sure that you buy a classic car that you have some passion for. If you have that fire in your belly when you drive it, then the chances are so will someone else when you come to sell, and if your investment doesn’t grow as predicted, then at least you’ll have had enjoyment from it.